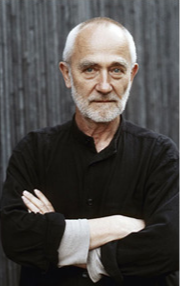 Peter Zumthor is a renowned Swiss architect who enjoys notoriety in the world of architecture, winning a number of distinctions in this area, including the Pritzker Prize (one of the most prestigious architectural awards, often resembling the Nobel Prize). 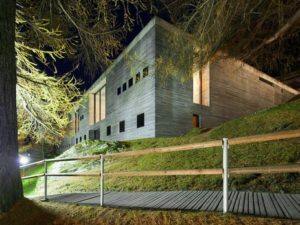 His buildings explore the tactile and sensory qualities of spaces and materials, while retaining a minimalist sense. One of the most famous books of the famous architect is “Atmospheres: Architectural Environments. 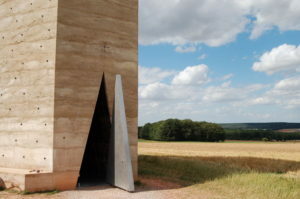 Surrounding Objects“, representing the concept of Zumthor’s art and inspiration. 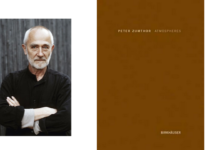 In nine short, illustrated chapters, framed as a self-observation process, Peter Zumthor describes what he has in mind while striving to create the atmosphere of his home. The images of the spaces and buildings that affect him are just as important as some musical pieces or books that inspire him. From the composition and presence of materials to the handling of proportions and the effect of light, this poetics of architecture allows the reader to recapitulate what really matters in the design of the house.